The Aqua Tek S, by SnowLizard, is the first battery powered, solar charged and rugged underwater iPhone 4/4s case. SnowLizard boasts that the case is waterproof up to 20 feet and can withstand drops, falls and those pesky accidental spills. 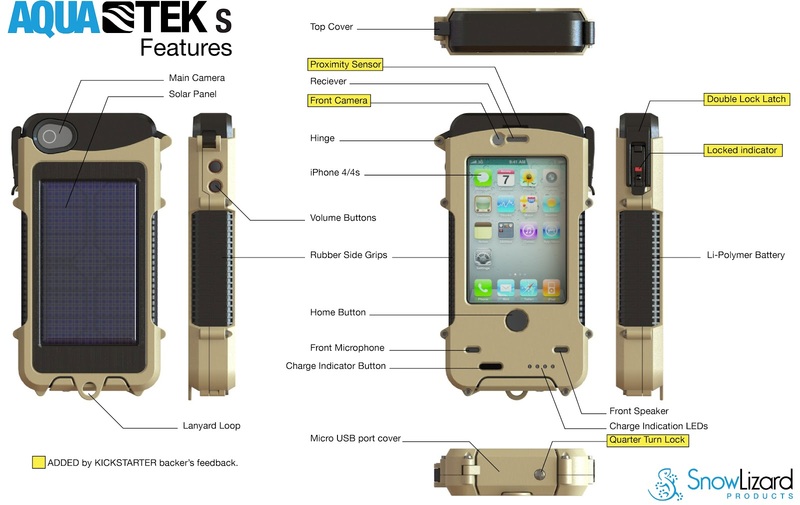 The Aqua Tek S is an iPhone 4/4S case made with technology enthusiasts and adrenaline junkies in mind. Whether you’re skiing a black diamond slope, fly fishing at your favorite lake, snorkeling an epic reef or kicking it back poolside, the AQUA TEK S can take your iPhone to places where no iPhone has gone before. Check back with us later this summer for a hands on review. I am going to put this case through its paces, including letting my 6-year-old son have a little fun with it. Until then, check out this video of the Aqua Tek S in action.